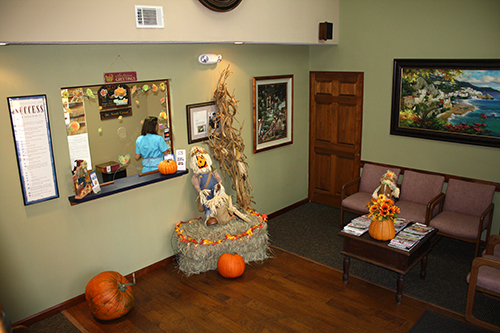 Relaxing office setting with seasonal decorations. Contact us to schedule an appointment or inquire on our services offered. Our experienced team can help you find just what you need and can advise you on the options. Our office can be reached from 8 am to 5 pm, Monday to Friday.